Aaaaand I forgot to take pictures. On the upside, Justin Westbrook did. The window on the above E28 was shattered, but at least I look like a Grade-A pimp. Otherwise, clean car. 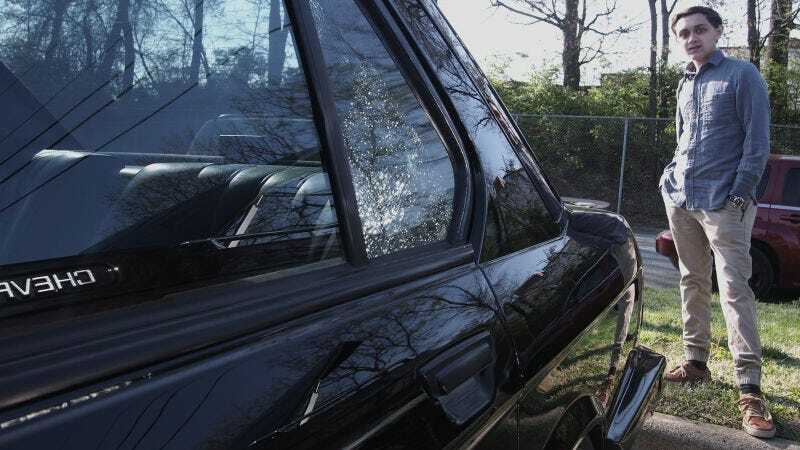 This delicious 280SL also features a picture of Ya Boy, along with a Dodge Stratus and a SAAB 900S. It had louvers, making it magnificent. I didn’t get pictures (even though I should have), but the black Dodge Stratus visible in this photo was fully prepped for racing. It was a racing Stratus. But that wasn’t as crazy as the Stratus next to it, as it had a Mitsubishi Eclipse front clip on it. For real. Overall, great day. I made Jalopnik status, and I saw an ASC McLaren Fox body Mustang.